Jeremy Corbyn has joined a shadow minister and a trade union leader in a show of support for women who have been left worse off by pension changes before a key rally today. The reforms to the state pension affect some women born in the 1950s as part of the move to equalise pension ages for men and women to 65. However, many were not warned that it would effect them, so were left worse off and with little time to prepare for it. 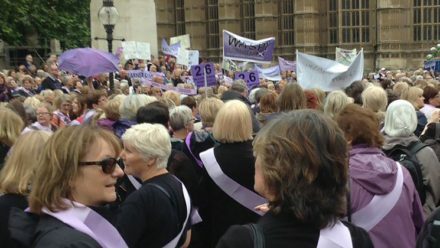 Yesterday, Chi Onwurah, the shadow minister for industrial strategy, presented a petition to parliament on WASPI women, urging the government to think again on the changes which are affecting women financially. Unison are rallying outside of parliament this afternoon, and will then lobby MPs in the House of Commons.